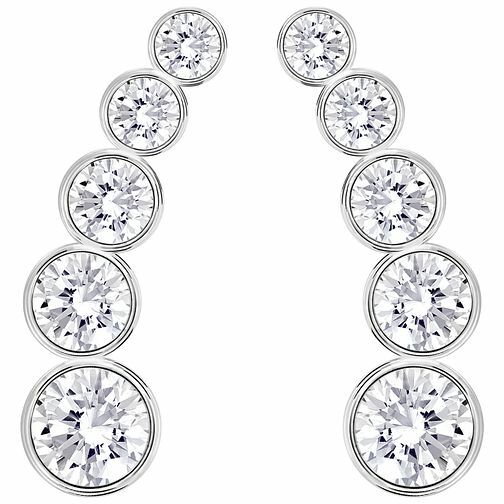 A stylish pair of rhodium-plated Swarovski earrings set with round-shaped, fancy cut Swarovski crystals. Finished with a large round crystal these earrings inject a dash of elegant glamour into any attire. Swarovski Harley Earrings is rated 4.5 out of 5 by 4. Rated 5 out of 5 by Anonymous from Beautiful earrings These are lovely earrings and so unusual. Swarovski at it's best. Bought for a friend's birthday and bought a pair for myself in the sale.